A study published this week by the European Cyclists’ Federation highlights the environmental benefits of cycling to work. 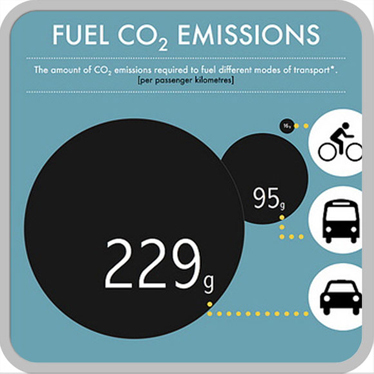 The report shows that even taking into account the production, maintenance and fuel [food] related to bicycle use, emissions from cycling were over 10 times lower than those stemming from the private motorcar. The research highlights the importance of initiatives like the cycle to work scheme in helping to reduce carbon emissions. According to the study, if EU citizens were to cycle as much as the Danes in 2000 - an average of just 2.6km a day - it would help the EU meet more than a quarter of the targeted emission reductions for the transport sector. With so many UK employees living within a few miles of the workplace, the cycle to work scheme provides the ideal solution to workers and employers looking for a sustainable alternative to the motor car, or even public transport.